Wealthy New York City elites are preparing to flee the state because the Republican tax bill is going to make them face the full brunt of Mayor Bill de Blasio and Democratic state leadership’s tax rates. Wealthy New Yorkers can currently lower their federal taxable income by more than $100,000 through a provision of the tax code known as the State and Local Tax Deduction, or SALT. The average SALT deduction in the Manhattan area is at least $60,000. The Republican bill will cap the deduction amount at $10,000, meaning wealthy New Yorkers who currently write off expensive real estate could face an extra six figures in taxable income. President Donald Trump is expected to sign the bill into law by Christmas, which is why many hedge fund and private equity managers are seriously considering getting out of New York. New York is a state run by Democrats and one that taxes its citizens at a higher rate than any other state in the nation. The state’s combined state and local income tax burden tops California’s at 12.7 percent. That amounts to roughly $6,993.42 per New York taxpayer. For the first time, many wealthy Manhattanites will finally feel the full burden that their state legislators and city leadership have put on them. 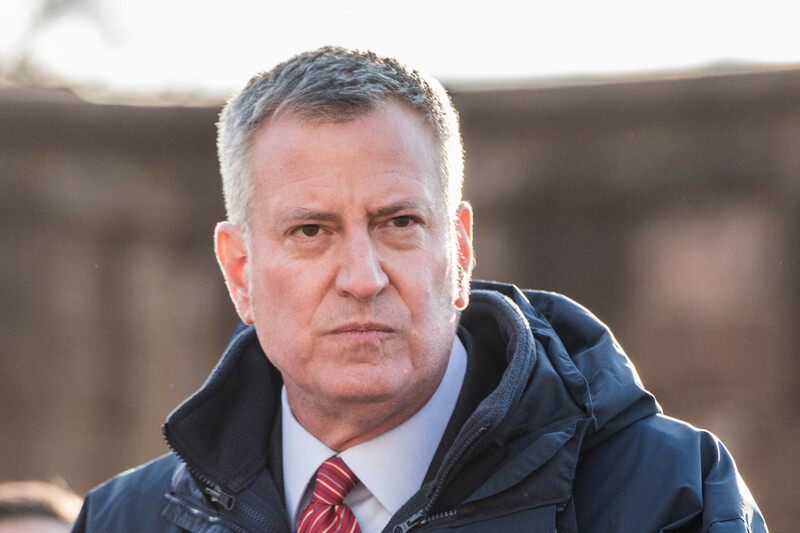 De Blasio is actually trying to increase millionaire New York City taxpayers’ loads as Republicans put the finishing touches on their bill. The mayor is trying to levy a 14 percent tax increase on the city’s millionaires to pay for improvements to the city’s subway system. The governor-elect of New Jersey is looking to pull a similar tactic to raise money for public schools in the state.